English pronunciation: Why is the “r” in so many words in English? Did you know that the “r” sound in English is the most difficult sound to say? It is so difficult that native-born north American children don’t master the “r” until they are about four years old or seven years old. There are some children who don’t fully master the “r” until they are eleven or twelve years old. A rational person would reason that if a speech sound is that difficult to say, then it would be a lower frequency sound in English. However, focused attention to “r” made me notice that there were so, so many words with “r” in them. The interesting question is, why are there so many “r”s in English? All of a sudden, I think I have a couple of answers. Today I will give you part one of my theory and next time part two. 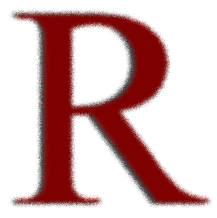 A primary reason that we have so many words with an “r” is that we use the “r” for many prefixes and suffixes, consonant clusters, and root words. Some people say there are a half a million words in English, some say a million, and some say a billion. It depends upon how they are counted. Whatever the total number, we have expanded our count of words by using consonant clusters and using prefixes and suffixes. The “r” is so important because we so frequently say it in spoken English. Next time is an answer to the question of what is it about the production of “r” that prompted human beings to use it so frequently in our words in English. Be sure to watch our English Speech Tips videos and Accent Reduction Tip videos for more English pronunciation and accent reduction exercises.